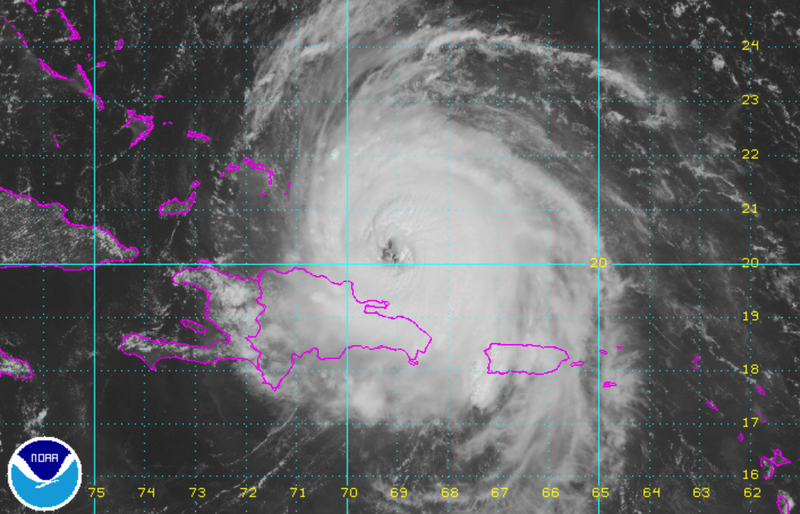 Here is the latest satellite image of Hurricane Maria. Here is the forecast path of Maria. 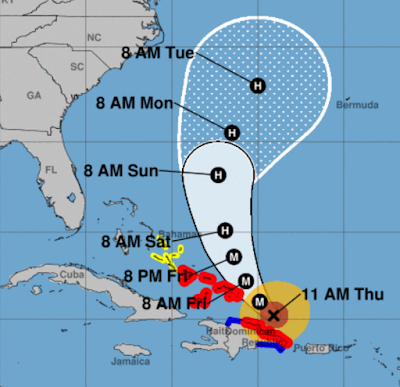 After the vicinity of the Turks and Caicos, Maria will move into the open ocean. It is no threat to the United States. As the purpose of this blog is weather forecasting and storm warnings rather than news coverage, this will be the last update on Maria.